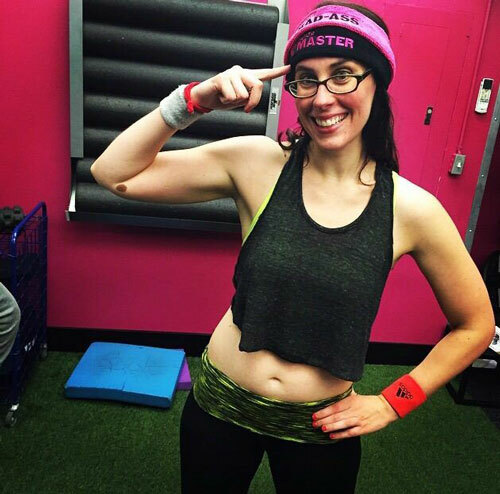 A kettlebell, a barbell, a dumbbell—they all live outside of me. The iron doesn’t ask me about my pain or my loss, my confidence or my fear. If someone were to see me on my mat at Mark Fisher Fitness, it might not look like the “deep work” that one usually associates with healing, moving forward or finding your voice. And yet, everything I am today, everything I love about myself and believe about myself, is because of my strength practice, “living the iron life,” and working from the outside in. For 32 years, I felt like there were 3 distinct parts of Caitlin Condy, working independently from each other at best, working against each other most regularly: Caitlin’s mind, Caitlin’s heart, Caitlin’s body. There is a certain practicality to outside-in work. I work in the beauty industry, which is broadly notorious for making money from folks by making them feel less than, but our team is trying to change that from our own little corner in our own little chair. #believe! I love hearing people talk about how a bit of red lipstick, their signature cologne, or their daily application of mascara can make them feel invincible. What a powerful outside-in practice! Your 16kg bell is always your 16kg, until it’s time for the 20, 24, 32… and so it goes as your strength grows. I can come into the MFF Clubhouse feeling… ugly, unworthy, the nerves of New York City on my shoulders. But at the mat, feeling my feet on the ground and simply saying my next action step “just pick up the weight”—and I do pick it up—I have my proof that I am strong. It’s not that deep really. I’m not an imposter, it’s not a matter of worthiness. I do it because I am able, because I have been doing it consistently. The weight is tangible proof of my strength. When my heart and my mind were not ready to allow me to be my best self, the practical steps of picking up a weight allowed the brain to believe what the body had achieved. The outside-in work I have done over the past five years has helped me to connect what used to be three parts of myself that were always at-odds to a whole Caitlin: Who can know she’s strong when she’s scared, she’s strong when she’s crying, she’s strong when she’s grieving, she’s strong when she’s laughing, she’s strong when she’s experiencing joy. 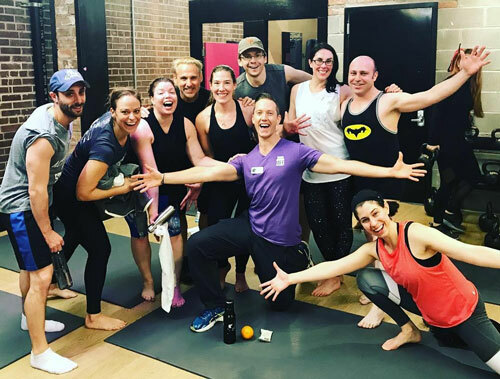 As we reflect upon the outside-in work we do and how it helps us show up in life, I also want to make another point on how Mark Fisher Fitness really makes it so possible to do this kind of work. Our engagement with the community is on outside-in practice. We gain the practical skills of existing in a community dedicated to this type of work, getting one percent better and supporting each other while doing it. We see aspirational examples of years of this work in our trainers, who guide us through, because sometimes we need the outside encouragement to gently guide us to the strength within. I’ll end with a story that’s particularly timely this week as we grieve the loss of a former MFF trainer. Near my 33rd birthday was when I entered the MFF Clubhouse for the first time. Landen Jones did my intake and he was the first person, outside of close friends and even closer family that I admitted to “not always allowing myself to eat” and to having lost any sense of self care. He held space for me but also made it clear that I was going to get the tools to help get on track to where I wanted to go, who I wanted to be and how I wanted to feel. 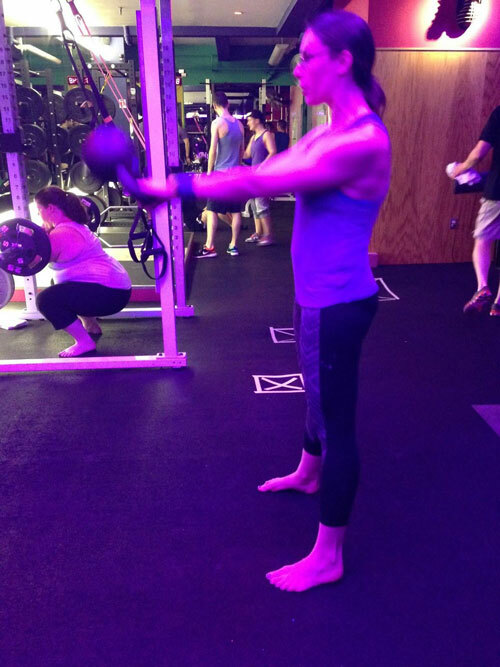 Later in my journey, I was stuck for months on a 12kg kettlebell swing during a class with Landen. He danced over to me, switched it out for a 16kg, and fan kicked away. Swinging that 16kg was one of the proudest moments for me. Not that deep. But he gave it to me because he knew I was able. He gave me the gift of tangible proof. What a legacy to leave. May we all do the same for each other on our quest to better ourselves from the outside in. To learn more about joining our Mark Fisher Fitness community, schedule a time to come visit.